You've figured out by now that I'm a big dork, right? Sure I wear cute clothes and I'm no longer sporting braces and a suburban mall version of "the Rachel" cut, but my inner nerd still lurks behind my renovated exterior. I'm sure it won't surprise you to hear that we're big into books around our house, and while I'm hoping to spare my children the pain of an awkward adolescence, I still want to share with them my love for the written word. When you have a Dad who works in the restaurant business, you're expected to become a foodie. I'm pretty sure that Chris' ultimate nightmare is having a child who only eats Mac 'n Cheese and Wonder Bread, so this book was a must purchase. I figured this was more of a gift for Daddy than the kiddos, but it's turned into one of the Muffin Man's favorite bedtime reads. The illustrations are sort of Midcentury Modern-esque, and the story is quick and charming. 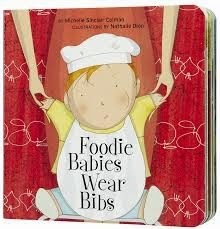 If your kid is a hipster who likes to eat kale and shop at the local farmer's market, this book is for you. We received a board book version of this classic tale as a gift when the Little Lady arrived, and it's since become a favorite on our reading rotation. Rose seems particularly taken with the tale of plucky little Madeline, so I've started reading it to her each night before she goes to sleep in the hopes that she will sleep for longer than three hours at a time. 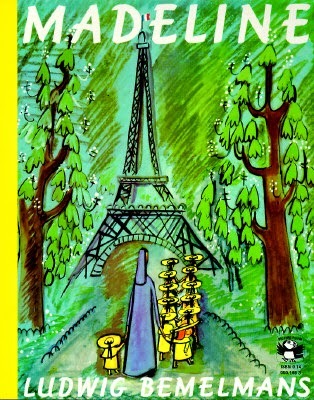 Sometimes I gaze at the illustrations and fantasize that instead of putting two screaming children to sleep I'm enjoying a enjoying a dry martini at Bemelmans Bar. Hey, a woman can dream. Last year I got Noah a Zoobean subscription for his birthday, and this was one of the books he received. 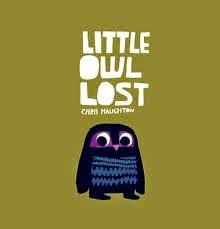 The story, about a little owl who falls out of his nest and is searching for his Mommy, is absolutely charming, and the illustrations are quirky and weird. This book is so popular in our house that it's starting to fall apart, and there have been nights when Noah has requested I read it six times in a row. I'm pretty sure I have the story memorized word for word, so if you're looking for a free audio book I'll be happy to record my dramatic rendition on your voicemail. 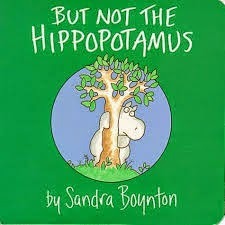 One of my dearest friends from high school sent us a big batch of Sandra Boynton books as a gift when Noah was born, and I didn't really understand what a great gift this was until recently. I never had any of her books when I was growing up, but the illustrations are really funny and the rhymes are some of the best around. Noah always wants to skip to the last page of this story, so at this point I'm just hoping it's because he's enamored with the armadillo and not because he's worried he'll die before finishing the book like Harry in When Harry Met Sally. He's a little young to have a morbid fascination with death...RIGHT?! If you happen to be one of the Chosen People (or just married to one) you can sign your kids up to receive a free Jewish-themed book every month courtesy of PJ Library. Honestly, they send some of the best books around. 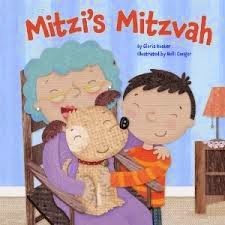 Mitzi's Mitzvah was the pick for Rosh Hashanah this year and it's quickly become one of the books that I'm asked to read most often. Noah gets really excited every month when he gets to open the big white envelope containing his new book, and once he gets it open (which takes about 30 minutes) we have to stop whatever we are doing and read the newest arrival. I haven't yet figured out if he's most excited by the fact that he gets mail with his name on it or if it's because he likes the books so much. Come to think of it, if he's anything like his Mother, the real reason he gets so excited is probably just because they're free. 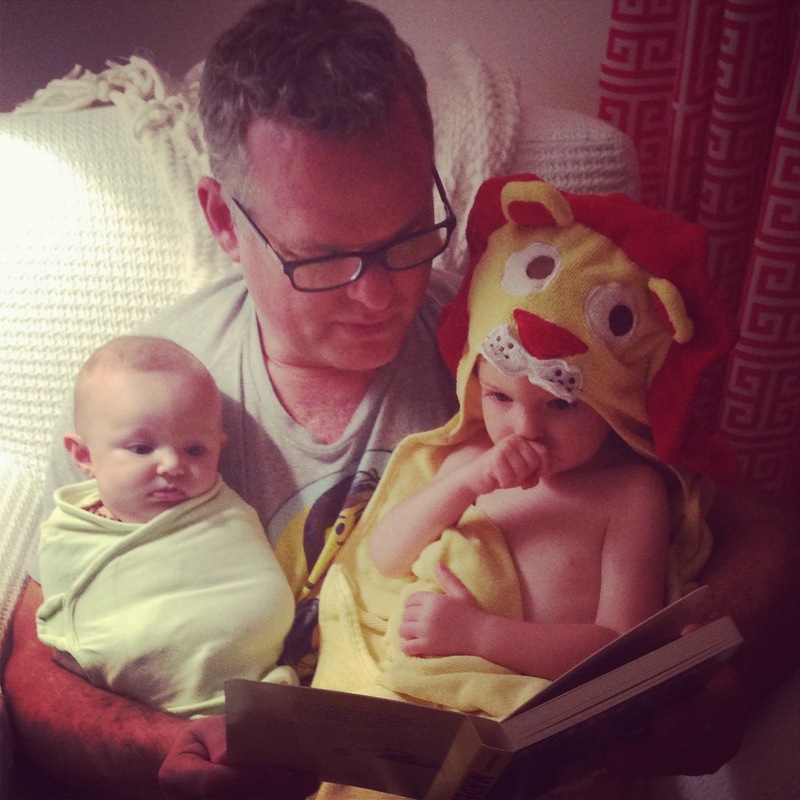 What are your favorite bedtime stories these days?